The Faculty of Applied Science is attempting to increase female enrolment in Engineering to 50 per cent by 2020. The faculty says that the key to this is in education, awareness and beginning at the earliest age possible. To accomplish this, the faculty — along with student organizations — is creating opportunities for young women to learn and discover engineering and how it is a supportive and creative environment to be in. “We do have a situation where two-thirds of the members of our student body are men [and so they’re] dominating the discussion,” said Marc Parlange, dean of Applied Science. He stated that there is a need to go against the cultural tendencies of male dominance within the engineering faculty and push for more diverse representation. For Elizabeth Croft, associate dean of education for Applied Science, this is particularly important. “The biggest influencers of girls are their parents and teachers,” said Croft. She went on to describe how she was discouraged by peers and parents from entering engineering because of the cultural myths that surrounded the profession and the lack of women who were represented in the engineering workforce at the time. This lack of positive influence when it comes to choosing engineering as a career becomes an issue. Many parents and teachers are not exposed to the environment and culture that the engineering profession and university faculties have developed. Therefore, they are unable to speak to its positive nature for young female students. 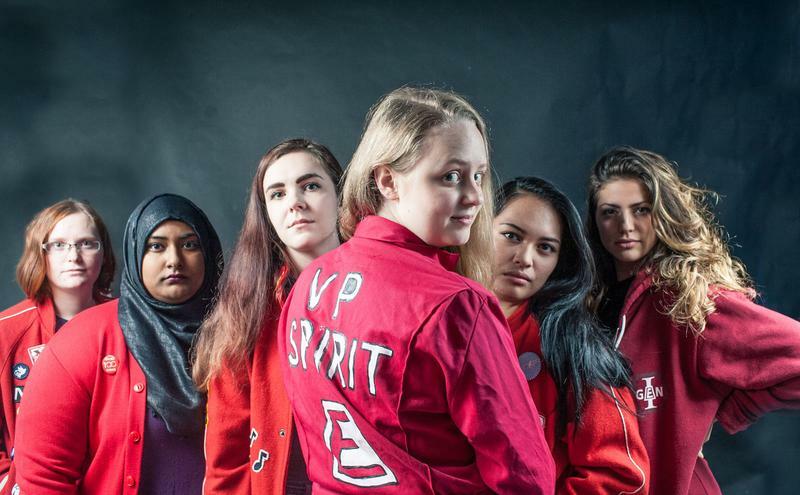 To reach their goal of 50 per cent female enrollment by 2020, UBC Engineering has created a number of programs to target traditional role models as well as young women in order to raise awareness about the realities of studying and being an engineer. Some of the programs that have been created include teacher professional days, BC-wide student and parent outreach and workshops targeting young women in grades 8 to 10. The teacher professional days introduce elementary and high school teachers from the Lower Mainland to the faculty. The teachers learn about engineering from both male and female students as well as faculty members so that they are able to return to their classrooms and positively promote engineering to their students. This will potentially creating interest in the engineering faculty within their schools and institutions. Along with the professional days, UBC Engineering has created a BC-wide outreach program. This program brings parents and students between grades six and 10 to the faculty to learn more about engineering through workshops, presentations and activities. These aim to show parents and their children that the faculty is an open and inclusive environment where high social and ethical responsibilities are practiced. UBC Engineering also puts on workshops for young women in grades 8-10 where they are encouraged and motivated to make a positive change in their environment through engineering and design projects. These events are completely organized and managed by female faculty members and students. This way, high school students can meet women within engineering and develop relationships with women in the faculty. These mentorships continue to be developed as women enter the engineering faculty as first-year students through the Women in Engineering club on campus, which runs events for male and female students. They hold events from networking opportunities for female students with leading female industry professionals, to fun social events for students who are involved. Through these programs, the faculty and the student associations have created a more inclusive environment for all students. “The nature of engineering is changing worldwide,” said Parlange, noting that the profession is in need of cultural innovation. Malone believes that a more diverse workforce will allow engineers to make great change and truly make an impact on societies globally. This article has been updated to reflect UBC Engineering as part of the Faculty of Applied Sciences. The Ubyssey apologizes for this error.